“Winning begins with culture and character matters”. This was a statement released from Sacramento Kings (SAC) General Manager (GM) Vlade Divac after he decided to trade away Superstar Center (C) DeMarcus Cousins before the 2017 trade deadline, reported by Rob Goldberg of Bleacher Report. Right now, the Kings sit in the playoff hunt with a respectable 10-10 overall record, which is just four games behind first place in the powerhouse that is the Western Conference. They rank above the NBA’s elite Utah Jazz (UTH), Houston Rockets (HOU), San Antonio Spurs (SA) and the Minnesota Timberwolves (MIN). Divac himself set his vision high on drafting players that were going to change the narrative of the Kings. He even at one point said he’d step down as GM if things didn’t go in the right direction. However, he along with the rest of the organization are now onto a greater path of competing with the NBA’s best. 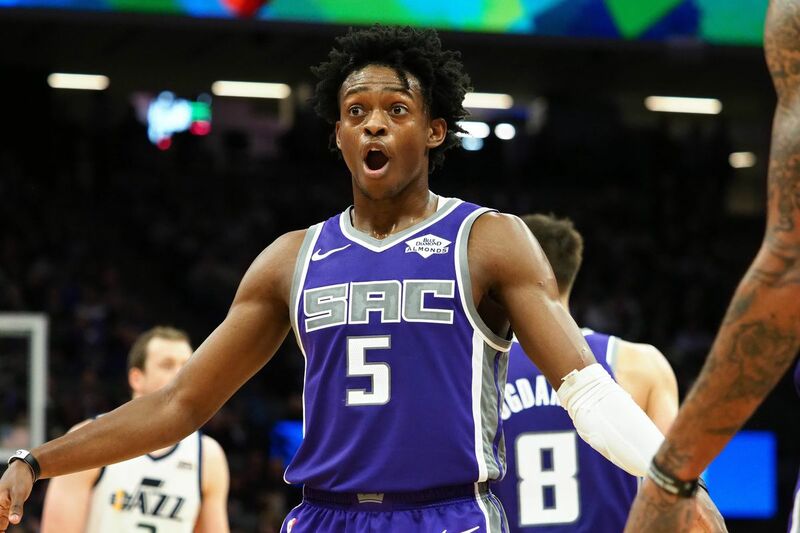 Second year Point Guard (PG) De’Aaron Fox is the face of team and is leading by example. According to ESPN, he’s averaging 17.7 points per game (PPG), 7.7 assist per game (APG), and 4.1 rebounds per game (RPG). All his stat lines have been gradually improved from last season, and to go along with a 17.49 player efficiency rating (PER) that is overall better than the league average. He’s orchestrating the offense with ease and unselfishly. Another building block for the franchise is Shooting Guard (SG) Buddy Hield. He started off his NBA career slowly and even gave people reason to doubt a respectable NBA career out of him, however since than he has progressed greatly. He too, is averaging career highs with 19.2 ppg, 2.7 apg, and 5.6 rpg according to ESPN. Together Fox and Hield are creating a dynamic backcourt in a guard driven league. Recent additions include Power Forward (PF) Marvin Bagley lll, Guard (G) Frank Mason lll, and Small Forward (SF) Harry Giles play key factors in the development of the Kings staying in playoff contention as the season moves along. Bagley lll is hitting his first season with great impact and with no reason to doubt his confidence against veteran players. Mason lll is doing well matching up as an under-sized guard, although his stats don’t give him the credit he deserves: there’s much to look forward to with his level of IQ on the team. Giles is definitely one player that the Kings hold dear to their heart because of his character. He’s battled with injury setbacks through college, before being drafted, and during his first year in the league nonetheless is perceived as a potential star in the league. He now has contributed on the court showing the capability, understanding and physicality needed to be successful at his position. Defining role players on this team are (C) Willie Cauley-Stein, (SG) Iman Shumpert, and (PF) Zach Randolph all play a strong veteran presence in the locker room for a team so young. Cauley-Stein was selected by the Kings high in the draft lottery and do to consistent development has locked in a spot as the center for years to come. Shumpert was acquired in a late season trade with the Cleveland Cavaliers (CLE) last season and has stuck around has a mentor. Lastly Randolph, is a free agent pick up that caught many by surprise but his aggression to competing at high levels will benefit this teams willingness to carry out games until the end. At one point in time the separating with a superstar in the NBA seemed all but detrimental to a franchise with no identity. However, the Kings have blossomed together with the chemistry capable of surprising more teams in this league. Divac has given the Kings something to root for and the fans are not slowing down.